It’s easy to jump on the feminist bandwagon these days. No longer the preserve of bra burners, now a simple social media post will suffice. Stretch to a front-page headline and even the most conservative of broadsheets can be transformed into a liberal bastion of women’s rights. No opportunity presented itself better than the recent furore around Cricket Australia’s pregnancy policy. Here was surely blatant sexism, as stark as it gets? Corral the troops, muster the pitch-forks and unite against this injustice, for these were easy pickings. Only they weren’t. There are flaws in the governing body’s pregnancy policy (or non-policy as it turns out – a work in progress) and Cricket Australia have conceded as much. Most of the coverage, however, was blind to the full story of ongoing negotiations and fell for the oldest trick in the lobbying union’s book – out-of-context sensationalism. There are grounds, enshrined in law at both a state and federal level, in which an employer can legally refuse to employ a pregnant woman. These relate to whether an employee is unable to perform the requirements of the job, or if there are health and safety issues. There is no suggestion, however, that Cricket Australia has ever tried to refuse a pregnant player a contract, on lawful grounds or otherwise; the handful of players that have been contracted while pregnant report back reasonably favourably on their experience. This is not a legal issue, but a policy one, and it is a policy that is not yet fully developed, as with most aspects of the women’s game. Cricket Australia are arguably a victim of their own success, and the role that the ACA have played is no small part in making women’s cricket contracts the most lucrative of any sport in the country. It can be argued that progress has not been quick enough, or that Cricket Australia has failed to adequately consult those that are affected by any such policy, but the assertion that the governing body is actively discriminating against female players is a frivolous one. The Australian Cricketers’ Association want leverage in the negotiations, so what better way than to portray the Cricket Australia as the bad guys in a public light. This is a common tactic in union negotiations, but can be a reckless one. The reaction to this ‘rogue’ clause has been over the top, for the most part misconstrued, and most importantly, is unlikely to help the women’s cause. This much at least most contracted female cricketers believe. 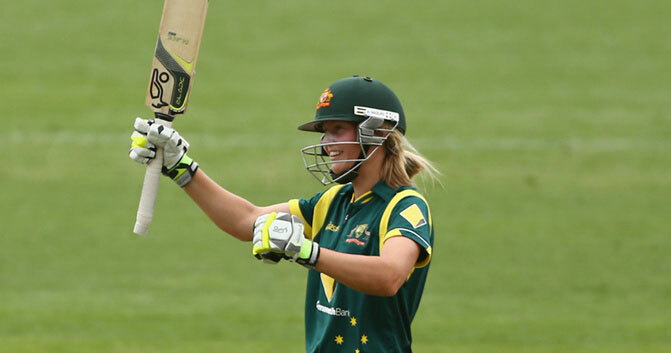 In the past few days we have been offered snippets of player opinions from a handful of marquee names – from Ellyse Perry, who spoke in typically measured tones of how well looked after female cricketers are, and from Grace Harris, who in the past has been known to offer some more passionate remarks, but who also gave a balanced opinion of the status quo. The consensus is clear – the clause is nothing scandalous. There is progress that still needs to be made (on maternity leave, contract length, and stipulations on behaviour) as there always has been, but there is a bigger picture to fight for. Nothing will be achieved with negotiations completely stalled, as they are now. What really riles most female sportswomen is the huge, short-lived fuss over often trivial points that grab the headlines for a day, but which fail to analyse the bigger issues. In a world of fast-moving consumerism and a non-stop news cycle, reacting to these headlines, not the substance of a matter, is becoming far too common. Click-bait, if you must. If the media wants to earn its feminist stripes, we need to dig a little deeper. What’s written on paper is not the problem, it’s what’s not. We need to be asking better questions – on the prevailing attitudes towards pregnant players, for instance. Are they made to feel a burden, a financial incumbency, or that they should feel guilty for depriving another player of a contract? And how about the consistency in attitudes and policies between teams – between the national, WBBL and state set-ups – or between players even? Would a fringe state player feel as comfortable taking pregnant leave as a lynchpin of a side? Talking to the players themselves is imperative, but something which neither CA nor ACA appear to have done enough of. Pregnancy aside, another concern that needs more attention is the provision for part-time professionals, those juggling school, studies, and other careers alongside their cricket. As cricket’s demands increase, the number of players having to decide between cricket and an alternative career are growing. It’s a big enough gamble when there’s a full-time, fully paid job at the end of it, let alone when there isn’t. Ultimatums issued to those having to decide between domestic cricket and AFL, two part-time pursuits at this stage, suggests there is room for improvement. For the most part, however, the support is there, often behind the scenes and out of the spotlight – education stipends, health insurance and other benefits for all female contracted players are better than any other women’s sport in Australia. The game is growing, but no female player believes it should be full time, yet. It will be, but it won’t happen overnight. The role of the ACA is vital, and an all inclusive Memorandum of Understanding welcome, for there has been a feeling for some time that women’s rights are being used as emotive pawns in a broader battle. Despite this, in no other country do domestic female players get any representation; in most, neither do the internationals. That the Director of England Women’s Cricket felt the need to criticise Cricket Australia carried a slight irony, considering player representation beyond the 18 internationals is non-existent in England, let alone contracts that have ever even considered a player’s pregnancy. The fourth estate, too, play a vital role in scrutinising the actions of the authorities, and must continue to do so, just without the hyperbole. In sport, and female sport especially, such coverage is imperative for its continued development. Players must be held to account for on-field performances, and the administration for their off-field management. Praise where it’s due, constructive criticism where it is not. Shouting down the governing body without foundation is a dangerous path. One of the biggest difficulties for a predominantly male media in an age in which the profile of women’s cricket is rapidly increasing, is how to critique without crossing into the murky waters of sexism. Jumping at any loosely feminist cause is not the solution. Scrutiny and coverage consistent with the standards afforded to any male athlete, or their contract, is something to aim for. Pregnancy is unique to females and is harder to navigate, but comparing pregnant cricketers’ wives, or office employees even, to pregnant cricketers is absurd; these persons aren’t contracted to play a physically exertive sport to earn a living. This is a whole new world, which needs a whole new way of thinking. That women’s sport has hit the front page of a national broadsheet shows that the women’s game is more meaningful than ever before. But that it’s hit the front pages in such a hollow form does it few favours. Dig a little deeper, acknowledge the strides that have been made and suggest a path for further progression. Most importantly, let the player’s voices be heard; the ACA plays a part in that, but so does CA. Vilifying one over the other helps no one, least of all the women involved. • A version of this article was originally published in The Roar on 22 December 2016. To access the original, please click here.